Three-time World all-around champion Simone Biles of Spring, Texas/World Champions Centre, 2012 Olympic team and all-around champion Gabby Douglas of Virginia Beach, Va./Buckeye Gymnastics, 2012 Olympic team and floor exercise champion Aly Raisman of Needham, Mass./Brestyan’s American Gymnastics, 2008 Olympic all-around champion Nastia Liukin, and 2012 Olympic team gold-medalist Jordyn Wieber headline the cast of the Tour. 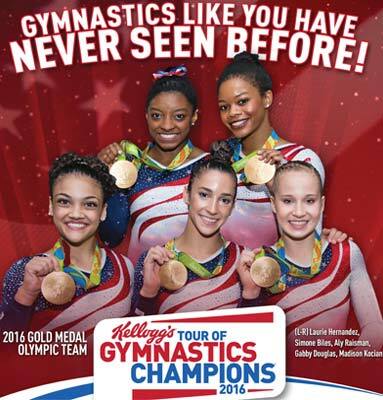 The 2016 Kellogg’s Tour of Gymnastics Champions cast will also include members of the both 2012 and 2016 U.S. Olympic Gymnastics Teams. The “Soul2Soul The World Tour 2017” celebrates the 10th anniversary of the record-breaking “Soul2Soul II” tour, the highest-grossing country music tour of all time, and the first time Faith Hill has toured since 2007. 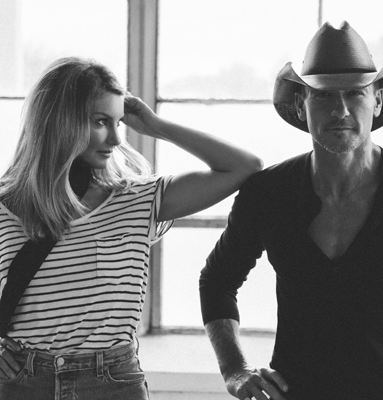 “We have the best fans in the world, who have been with us through our entire journey and we are so excited to celebrate with them by going back on the road and showcasing an exciting new show,” said Tim McGraw and Faith Hill. McGraw and Hill have been dominating the music charts since the early ‘90s. They began touring together in 2000 in their record-breaking “Soul2Soul” tour, becoming that year’s top grossing and most successful U.S. tour. Their success continued in 2006-2007 when “Soul2Soul II” returned to the road, which was the most attended tour of the year in any musical genre and remains the highest grossing multi-year North American tour in country music history. McGraw has sold more than 50 million records worldwide and dominated the charts with 41 #1 singles. He’s won three Grammy Awards, 16 Academy of Country Music Awards, 14 Country Music Association Awards, 10 American Music Awards, three People’s Choice Awards and numerous other honors. His iconic career achievements include being named the BDS Radio’s Most Played Artist of the Decade for all music genres, having the Most Played Song of the Decade for all music genres with “Something Like That,” and being the only artist to score two sets of three simultaneous top 20 Billboard Country Airplay hits. He is the most played country artist since his debut in 1992, with two singles spending over 10 weeks at #1 (“Live Like You Were Dying” and “Over and Over”). His recent multi-chart number 1 single “Humble and Kind,” off his Damn Country Music album is his 59th release to hit top 10 or better. His critically-acclaimed acting skills were highlighted in the award-winning movies “Friday Night Lights” and “The Blind Side,” and he will be appearing in the movie “The Shack” next year. Hill is one of the top-selling and most-awarded female artists of all time. In addition to multiple nominations and five Grammy Awards, she has won an impressive 12 ACM Awards, four Billboard Music Awards, four American Music Awards, four People’s Choice Awards and three CMA Awards. She has consistently broken chart records with 14 #1 singles and multiple albums topping both the Billboard Top 100 and Country charts. She has six certified multi-platinum studio albums and has sold more than 30 million albums worldwide. The Charlotte Hornets will host the Boston Celtics in a preseason home game on Thursday, October 6, at the Greensboro Coliseum. The game, which will tip off at 7:30 p.m., will mark the ninth time that Charlotte’s NBA franchise has played a preseason game in Greensboro, the most of any neutral site. “As we have done in previous seasons, we are proud to be able to bring Hornets basketball to areas around the region,” said Hornets President & COO Fred Whitfield. “With our new NBA D-League team beginning play in Greensboro this season, we are excited to help tip off the inaugural Swarm campaign with a Hornets preseason contest right next door to the new fieldhouse. The Central Carolina Fair will light up the sky around the Greensboro Coliseum Complex once again this fall. 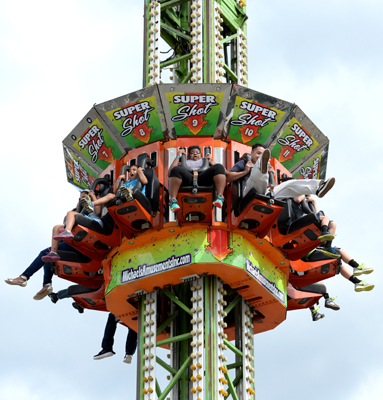 Featuring spectacular rides, carnival food and games, musical entertainment and attractions for all ages, the 118th annual edition of the Central Carolina Fair will begin Friday, September 9 and run through Sunday, September 18. Sunday, Sept. 18, 12-9 p.m.
We’re underwriting the first in what we hope will be an ongoing O.Henry Jazz Series! Cocktails and Jazz at the O.Henry has been so much fun that we asked the amazing Victoria and Neill Clegg to curate an extension of the O.Henry Jazz scene. On select Saturdays you can enjoy vintage craft cocktails and delightful tapas garnished with an eclectic array of jazz artists performing in the styles of contemporary jazz from 6:30 – 9:30 PM. Melva Houston will be returning to the O.Henry Jazz Series for Easter Weekend! Melva Houston was born in Memphis, Tennessee, home to many black blues performers. She grew up in the tradition of gospel, blues and jazz and made a name for herself by performing regularly on a popular radio show. Shortly thereafter, she became a background singer for Stax-Records and by age 16, was singing for songwriter Isaac Hayes. She was such a popular background singer that she made numerous recordings with stars such as Wilson Pickett, Otis Redding, Sam and Dave and other Stax artists. In the eighties, she accompanied “The Platters” on their European tour and from 1988 to 1996, toured Spain as a soloist, achieving overwhelming success. In North Carolina, Melva is a permanently sought-after performer at renowned jazz festivals. Most recently, she has devoted herself to blues. She regularly interprets Broadway songs with the same persuasiveness as the jazz standards of Gershwin, Ellington and Cole Porter or compositions from Thelonious Monk and Horace Silver. The Greensboro Farmers Curb Market, 501 Yanceyville Street, 27405 will host the first ever Biscuit Breakfast and Fixings Bar on Saturday, March 12, 2016 from 8 a.m. to 11:30 a.m. in the Harvest Room Cafe. Chef Jay Pierce and John Jones of The Marshall Free House will serve up hot biscuits served with a choice of your toppings from local producers. Choose from Neese’s Country Sausage and sausage gravy, or for the more adventurous, liver pudding, scrapple, or souse. Savory or sweet additions include Goat Lady Dairy cheeses, Real Catering’s pimento cheese, Sweet Morning Farm jams & jellies, and Quaker Acre Apiary honey. The breakfast will be served with a taste of market beverages- hand blended iced tea from TeaHugger or freshly ground coffee from Cafe Al Grano. The cost of the Biscuit Breakfast Bar is $5 per plate with proceeds benefiting the Greensboro Farmers Curb Market. Breakfast is offered first come, first served and while supplies last. Musician Laura Jane Vincent will provide live entertainment from 10 a.m. to noon. The Biale family has been growing zinfandel since 1937. Join founder, Dave Pramuk, and his daughter Maggie in tasting some of the best Biale has to offer paired perfectly with our 1618 creations! The cost is only $65 and includes tax and gratuity. You can purchase tickets by calling the lounge at 336.285.9410 or stop by and see us in person! The Harlem Globetrotters are preparing for their most epic tour in history, as the world famous team celebrates its 90thanniversary world tour, with over 320 games in North America alone. A star-studded roster will have fans on the edge of their seats to witness the ball handling wizardry, basketball artistry and one-of-a-kind family entertainment that thrills fans of all ages. The Globetrotters will tip off their historic 90th year of smiles, sportsmanship and service in the fall of 2015. Tickets on sale: Oct. 6 at 10 a.m.
For group sales information please call 336-373-2632. Sunday, March 20, 3 p.m.
Southern Circuit Tour of Independent Filmmakers! Bill Siegel has more than 20 years of experience in documentary filmmaking including his work on The Weather Underground and Hoop Dreams. The Academy Award-nominated director will be in attendance for a post-screening Q&A. 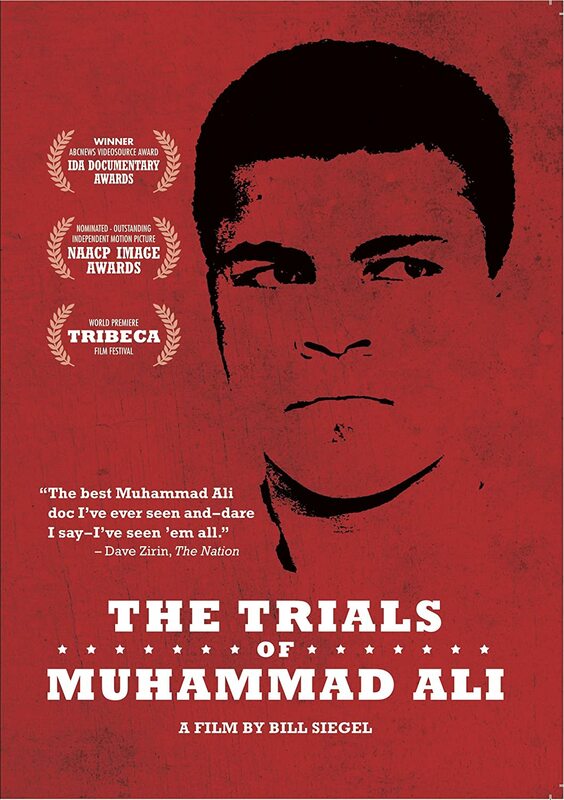 The Trials of Muhammad Ali investigates Ali’s extraordinary and often complex life outside the boxing ring. Outspoken and passionate in his beliefs, Ali found himself in the center of America’s controversies over race, religion and war. The documentary examines how one of the most celebrated sports champions of the 20th Century risked his fame and fortune to follow his faith and conscience. Individual session tickets for the 2016 ACC Women’s Basketball Tournament, to be held March 2-6 at Greensboro Coliseum, are on sale now. Individual session ticket prices start at $10.00 for adults and $7.00 for students/seniors. Books, which are $99.00 and include tickets for all 10 sessions of the five-day tournament, are also on sale. The 39th annual tournament will tip off on Wednesday, March 2 at 1 p.m. and will conclude with the Championship game on Sunday, March 6 at 12:30 p.m. The ACC Tournament has been held in Greensboro each year since 2000, the most of any venue, and has enjoyed a long standing tradition of success at the Coliseum. The 2015 Tournament drew over 60,000 fans – the most of any women’s basketball conference tournament, and has been the best attended conference tournament in the sport with an attendance total of 850,737 fans since 2000. Follow ACC women’s basketball on Twitter @accwbb. Session 1: 1 p.m. & 3:30 p.m. Session 5: 6 p.m. & 8 p.m. Session 8: 6 p.m. & 8 p.m. Session 9: Noon & 2:30 p.m.